It’s that time of year where you’ve made your New Year’s resolutions and maybe you’re trying to stick to them. If keeping fit is one of them, we’re here for you. We’ve put together some of our top locations which you can visit and keep fit while you’re in the area. From surfing through to skiing for inspiration while you’re away, these places will keep you on top of your resolutions. If you’re keen to grab some winter sun and surf why not visit Jacksonville, Florida? With an esteemed surfing reputation, you’re sure to catch a wave on Jacksonville Beach. Home to surfing competitions for adults and children, you can watch the pro’s in action. 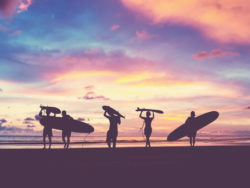 Atlantic Beach is a great spot for beginners and if you’ve never managed to stand upon a board there are plenty of local surf schools to give you a helping hand. This way to keep fit is sure to be memorable and if all else fails, you can always relax on the beach near Jacksonville Beach Pier. In Michigan the snow has started falling and won’t stop for a while, so now’s the perfect time to grab your skis and head up the mountain. If you’ve never skied and have always wanted to learn, why not make this one of your resolutions? Learn a new skill and get fit at the same time while you’re flying down a mountain! 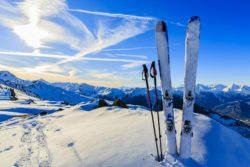 Michigan has a great selection of mountains and ski resorts to choose from including the Mont Ripley Ski Area. This is just a short drive away from Magnuson Hotel Copper Crown which even has indoor snowmobile parking. Book a cosy night away now! If you’re in the southern states where the sun is still shining (if only for a little bit) why not get outside and make the most of it. If you’re staying in Phoenix, throughout the winter months, you should have a max temperature of 72F which is ideal hiking temperature. 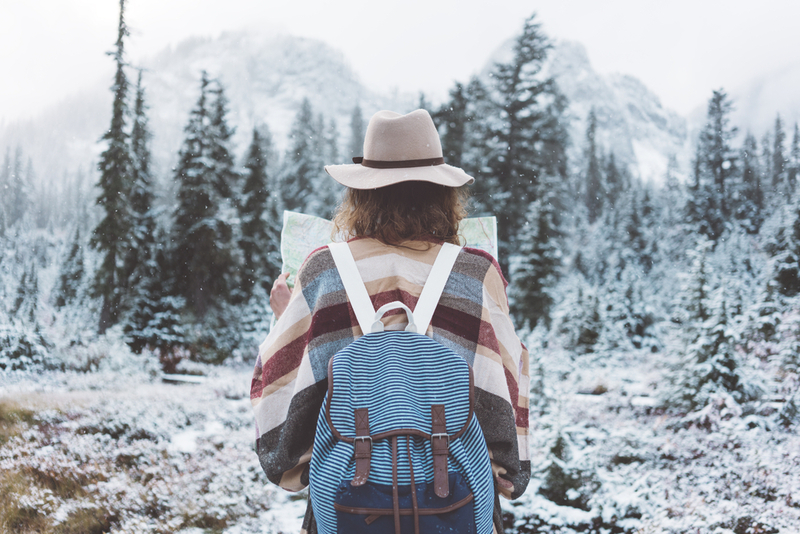 Pack a coat and get ready to explore. 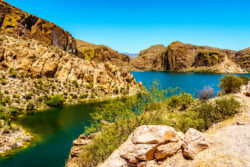 The Tonto National Forest covers almost 3 million acres of stunning country and it varies in altitude from 1,300 – 7,900 feet. With lake beaches to explore and pine forests, this is a perfect place to start hiking. You can also kayaking, horseback riding through to stand up paddle boarding and mountain biking. You won’t be bored on this trip! If you’re a fan of cycling, why not visit Minnesota to ride the Paul Bunyan Trail. This is the longest Minnesota bike trail at 120 miles long and it connects the Heartland Trail, Blue Ox Trail and Cuyuna State Trail. You can also walk, snowmobile and cross country ski along the trail. Take in all the natural beauty of Minnesota as you pass 20 natural lakes, 10 rivers and plenty of wildlife. This ex-rail trail is a unique way of seeing the countryside and you’ll be keeping on top of your fitness as you go. Book your trip away today!